New Delhi has also understood that Washington has not abandoned its arrogant attitude towards the emerging Asian giant. India reaffirmed its independent course in foreign policy during the Ukrainian crisis, saying Russia had legitimate interests in Crimea. According to analysts, Indian and Russian policies in the wake of the latest global crisis are identical. In Delhi, decision-makers are sympathetic towards Moscow's policy in the former Soviet space. New Delhi’s growing closeness to Moscow comes at a time when its relations with Washington are suffering. The timing of the resignation of Nancy Powell, the U.S. ambassador to India was inopportune, as Reuters put it. 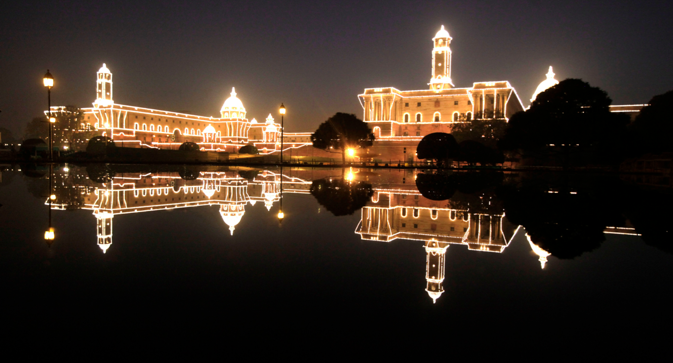 Parliamentary elections begin in India next week, and their outcome is uncertain. Usually foreign powers try not to change their authorized representatives at such a crucial moment. Nevertheless, the U.S. is going ahead with this reshuffle. Powell, however, said that her decision was not related to the current complications in Indo-US relations. But was it? Time magazine indicates that the U.S. President Barack Obama’s administration hopes for a "new start" with India if the opposition rises to power. The Indians considered the way the U.S. authorities treated the Indian Vice-Consul in New York Devyani Khobragade last year as an insult. The police arrested her and strip-searched her. The allegation was that the Vice-Consul paid her domestic servant less than what was specified in her visa application. In response, Delhi sent an American diplomat back and deprived the U.S. Embassy employees of privileges that they had traditionally enjoyed in India. The incident with Khobragade could be considered minor, but it actually symptomatic of a trend in relations that have deteriorated over the last few years. Americans believed that they did India a big favour and they could rely on changes in India’s foreign policy. However, on global issues New Delhi continues to take a line closer to that of Russia, China and the BRICS countries rather than supporting the U.S., Lunev said. According to Indian Foreign Service officials, interviewed by American reporters, the U.S. sometimes behaves as an arrogant power towards India. Indians resent the fact that the U.S. government, under pressure from multinationals expressed doubts about the quality of Indian medicines and launched an investigation to check if manufacturers in India were violating the patents of pharmaceutical giants such as Pfizer. Indian commentators are also wondering if Washington will adopt a softer stance towards India and will continue to expect obedience. All this will only become clear after the Indian elections, but New Delhi is likely to continue a favourable policy when it comes to Moscow regardless of who comes to power.